Often irritating workers, traffic slowdowns and capacity problems in the road system are serious issues. 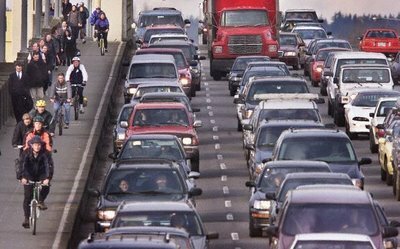 In addition to delaying deliveries and reducing business productivity, traffic congestion contributes to urban smog and pollution—diminishing environmental quality and jeopardizing public health. Interestingly, when it comes to the happiest commuters, the Toronto Star reported that cyclists and walkers are the most satisfied with their commute.